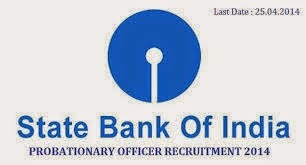 State Bank of India has uploaded SBI PO Admit Card 2014 for its recruitment exam of probationary officers. Those candidates who have applied forSBI PO Recruitment 2014 can now download theiradmit card. As per that notification from SBI, it is going to make available SBI PO 2014 admit cardfrom 30 may 2014 on its official website www.sbi.co.in but they have uploaded the same on 29 May 2014 evening. DOWNLOAD SBI PO ADMIT CARD FROM HERE. State Bank of India is going to conduct Probationary Officer exam in June 2014. All the details regarding Exam Centre, roll number, time and date of exam can be found on the admit card. SBI had advertised for the 1837 posts of Probationary Officers. Out of these 1837 posts, 758 are for General Category, 405 posts are of Other Backward Class category, 235 posts are of Scheduled castes and 439 posts are of scheduled tribes. SBI invited applications forms through online mode from April 7-25, 2014 for its probationary officer recruitment drive. It is estimated that nearly 10 Lakhs of candidates might have applied for this recruitment. All those candidates are now waiting for their SBI PO admit card 2014 which is now available on SBI website. 1. Go to www.sbi.co.in and click on recruitment link given on left side of the site. 2. Now choose the link SBI PO admit card 2014 OR call letter for written exam. 3. Enter your registration number and Date of birth and choose your admit card language. 4. Click on submit. Your SBI PO Admit card will be displayed. 5. Save a soft copy of your admit card and Print one copy.